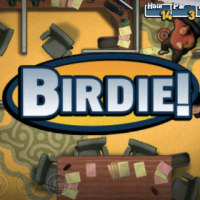 This week, a few of my colleaguesÂ were showing me a new game they found in the iPhone App Store called “Cubicle Golf”. 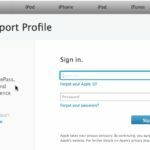 It did not seem like much at first, but after downloading it and giving it a shot, it was actually pretty solid. Cubicle Golf is mini-golf in an office setting. 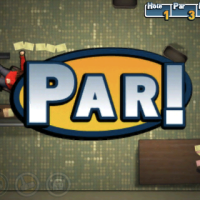 The game features a driver, an iron, and a putter which are visually represented as employees sitting in chairs. Using your finger, you aim and define how hard to swing with the goal of getting your employee into the target zone, or cubicle. There are 18 holes, each featuring a unique environment with various obstacles to overcome. 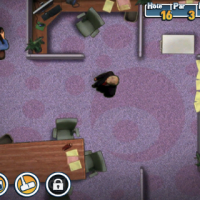 In some of the later environments, players are introduced to a moving obstacle called “The Boss”. As you can guess, it is a character that walks around the office. 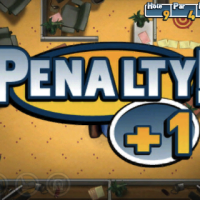 If the player comes in contact with The Boss, they receive a penalty stroke and must start back at the tee. The really fun factor of the game is the commentary. As you choose an employee to tee off with, each employee has their own commentary. Also, depending on your stroke count, that also has its own set of commentary. It is quite amusing. The game further tracks your scores, including the best scores on each hole. The game is very easy to learn and is definitely one of those games to play if you have a spare minute or so. The game does not offer a lot of depth, so if you’re looking for something profound for your $2.00, you won’t find it here. 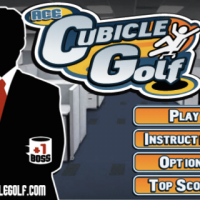 Cubicle Golf is available in the App Store for $1.99.